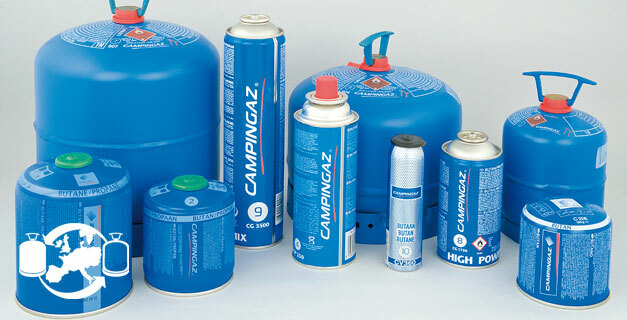 It’s what keeps your barbecue or stove cooking, your lamp shining, and your blowtorch burning – our range of gas cylinders and cartridges. If you want power or a long-lasting supply of gas – for example if you’re barbecuing – then a heavy refillable cylinder is ideal. But if you’re going to be carrying gas with you, choose a small, light cartridge. 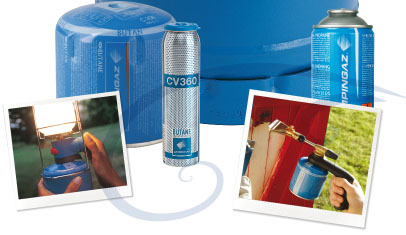 Our valve cartridges can be safely disconnected and later reconnected if you’re using them for short periods, whereas pierceable cartridges are our most economical and widely available option.